I’ve always been a creative type. I’ve argued in the past that you’re either a logical, or artistic person. As I get older, I’m not so sure that’s the case – you can learn anything if you put your mind to it. I loved art in school. I was actually quite good. 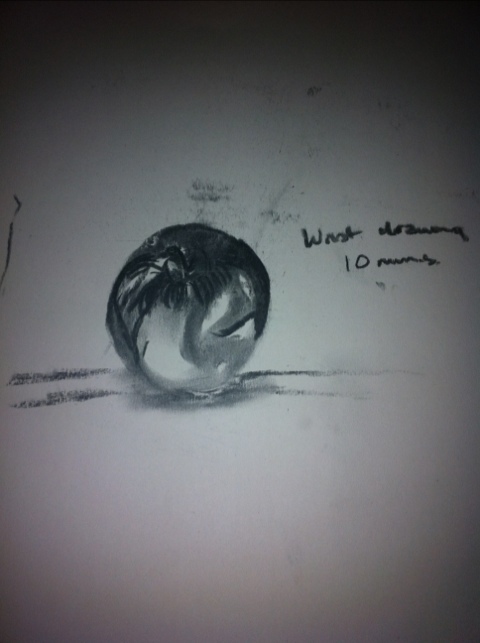 I wasn’t a world-class talent but my week revolved around those art classes. When it came to crunch time however, like many, I decided, on advice from my teachers that an A Level in Art wasn’t going to help me greatly when it came to applying for university, so I gave it up. Some 13 years since I left my last art classroom, I had my first ‘drawing and painting’ class tonight at the Crescent Arts Centre in Belfast. 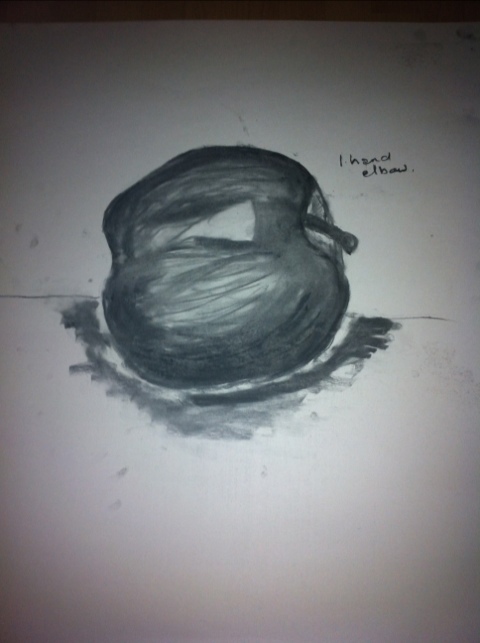 Working with charcoal, which was never my favourite medium was quite a challenge, and it turns out (as you’ll see from my pictures below) that I’m more than a bit rusty. 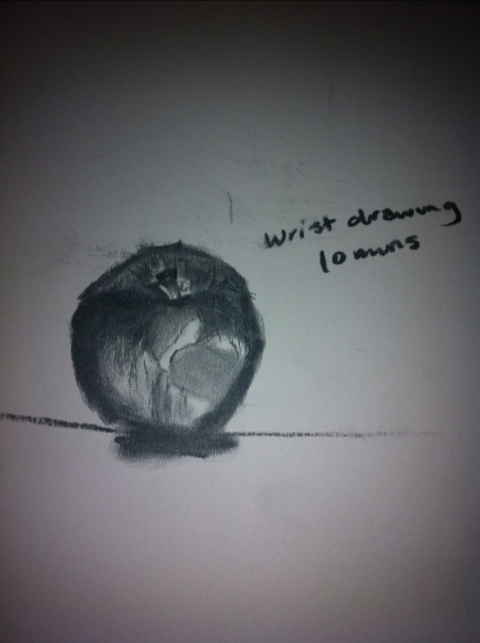 It was interesting though to play with different techniques – drawing with your right hand, then your left (seriously tricky); using only your wrist, then your elbow, then shoulder to anchor your hand. 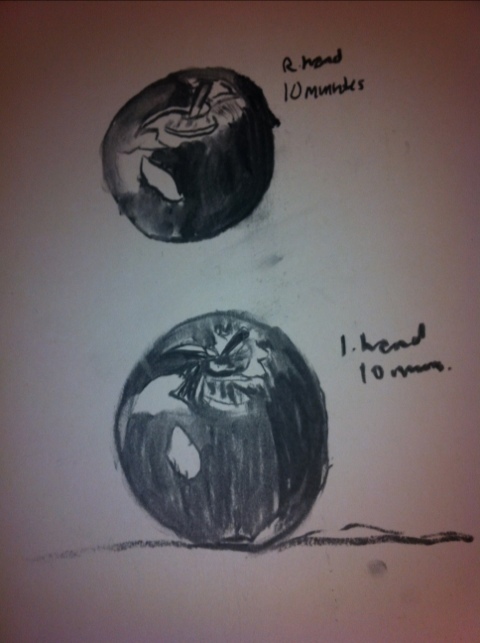 Funny too, given my recent return to Weight Watchers that my first subject matter was an apple. Apt for January, I guess. 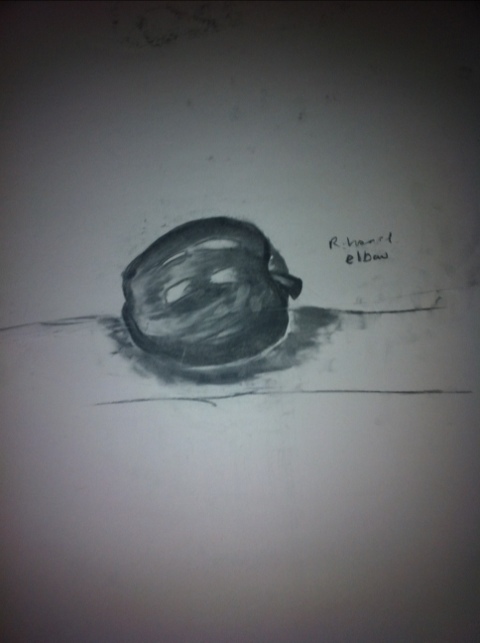 Though from some of the drawings, you probably wouldn’t know it was an apple, to be fair. Something kind of circular, perhaps. Maybe I’ll get better. Maybe I won’t. But over the next 12 weeks and perhaps beyond that, I’m going to give it my best shot. At the end of the course, I’m going to attempt a self-portrait – after all, this blog is all about putting a mirror up to my life and challenging how I see myself. Arty, hey? There are relatively few things I’m afraid of. But heights are one of them. I’m not really sure when, or why it started; I’m a fairly rational person but this is one of my quirks. Considering I’m 5ft ‘11 and routinely wear five inch heels, it probably seems a bit daft but quite frankly, I’m terrified of heights. I said at the outset that this blog, and the challenges I take on for it, would often take me out of my comfort zone. I’ve no doubt that this particular task will do just that. On Sunday 5th February, just a few weeks from now, I will attempt to complete a charity abseil. I honestly never thought I would do something like this. In fact, I could hardly think of a worse way to spend a Sunday. Or any day. 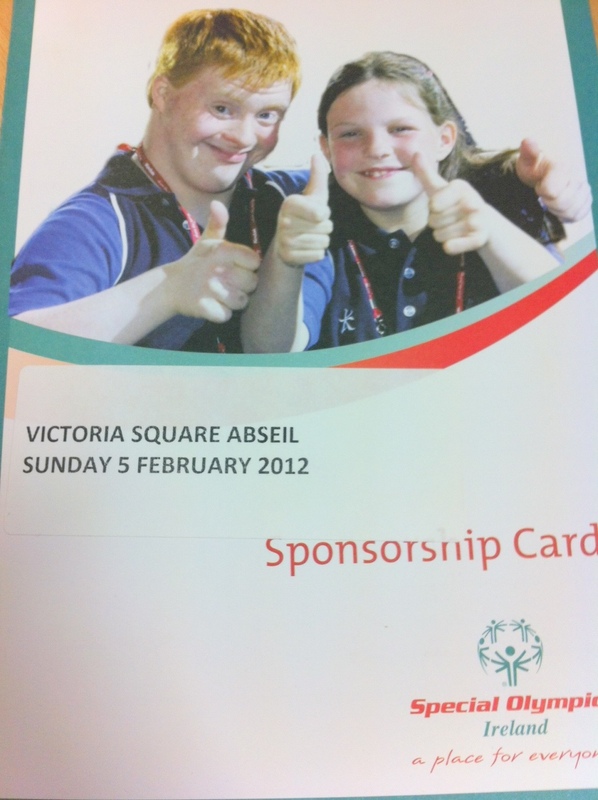 Towards the end of last year, we started working with sports charity, Special Olympics Ulster at MCE. During one of our first PR meetings, their fundraising manager told me they were organising an abseil off Victoria Square (also a client of ours). It was a strange and somewhat surreal moment, because without even being asked, I volunteered myself to take part. I’d just started this blog, so finding challenges to task myself with was admittedly on my mind , but I think subconsciously I knew this was a fear I have to face head on. Still, I waked away from that meeting feeling a little sick at the thought of it; even writing about this now, I’m getting a little jittery. I am scared but the money I raise will go to a great cause. I can genuinely say that Special Olympics Ulster makes a difference to the lives of people with intellectual disabilities here in Northern Ireland. During the last few months, I’ve had the pleasure of meeting several athletes that have blossomed through the chance to compete in Special Olympics sports competitions at local, national and international levels. Their achievements, against all the odds, are a continual reminder to me that anything is possible, if you put your mind to it. Plus, I figure that if I’m ever going to do something like this, having the added pressure of not embarrassing myself very publicly in front of two clients might just be enough to help me face my fear. P.S. If anyone reading this would like to make a donation, however small, I would be extremely grateful. I’ve set up a Fundraising page on the Special Olympics Ulster website and you can donate securely here – http://fundraising.specialolympics.ie/fundraisingpage.aspx?uid=444&eid=528 Thank You! They say that most New Year’s resolutions are broken before the first week of January is out. I’m hoping that because my pledge has been delayed by seven days, I may stand a statistically higher chance of seeing it through. Over the holidays my dad handed me a Christmas card, which my uncle had dug out of a draw somewhere. 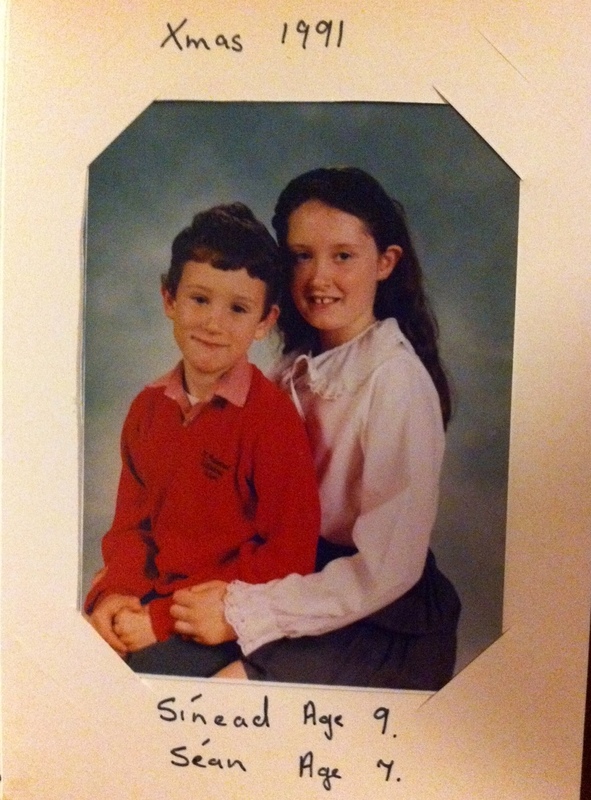 Dated ‘Xmas 1991’, it had a picture of my brother and I aged seven and nine respectively mounted inside and festive well wishes penned by my mum. It’s hard to believe this picture was taken 20 years ago. I often think, ‘I shouldn’t be able to remember 20 years ago.’ But alas, I can – a reminder that time passes all too quickly. I’ve fallen behind with my 29 Lives challenges in the last few weeks, having been consumed with far too much festive merriment, entertaining, catching up with friends and family, helping out with the family business and then getting back to work. But it’s the beginning of a New Year now – time for a change of pace, to shake off the cobwebs and start afresh. So, as people across the globe start to tackle their New Year’s resolutions, many of which will have been broken in the last week, I’m making just one pledge – to get back on track with my 29 Lives challenges and to make the most of 2012 – the last year of my twenties. There are goals I want to achieve this year before the dreaded Three-O comes around – I’ve just over 11 months to do it in, so the clock is ticking. There are fears I’d like to overcome, challenges I’d like to task myself with and new things I’d like to experience. I have a few challenges lined up for January and February – the first of which is my previously postponed challenge to become a DJ (more on that soon) and I’ll share the others with you in the coming weeks. As always, I would welcome any further ideas to add to the list. After my festive overindulgences, something fitness/health related might be a good starting point… But not until after this weekend. My brother is flying in this morning and we’re off to experience the best wining and dining that Belfast has to offer – one way to beat the January Blues for sure.